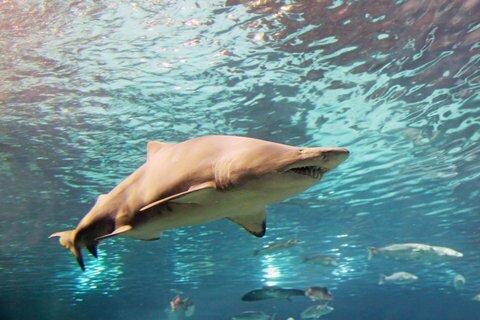 Two teenagers were attacked in separate shark attacks 90 minutes apart at North Carolina’s Oak Island recently in a scene that an on-looker described out of something from the movie Jaws. Last week, a body-boarder was also attacked, making three attacks in less than two weeks. Normally, the state averages three attacks per year. Biologists believe it is likely the same shark that attacked both victims. Her arm was severed below the elbow and her leg was also wounded. Onlookers helped apply pressure to the wound with a beach towel and kept the girl alert before paramedics arrived. The 16-year-old boy, who was upgraded to good condition, had his arm severed below the shoulder. The recent shark attacks on the east coast mimic increased shark activity off the California coast as well. This year increased ocean temperatures as a result of an El Nino year have brought more sharks to beaches from San Diego to Santa Barbara.